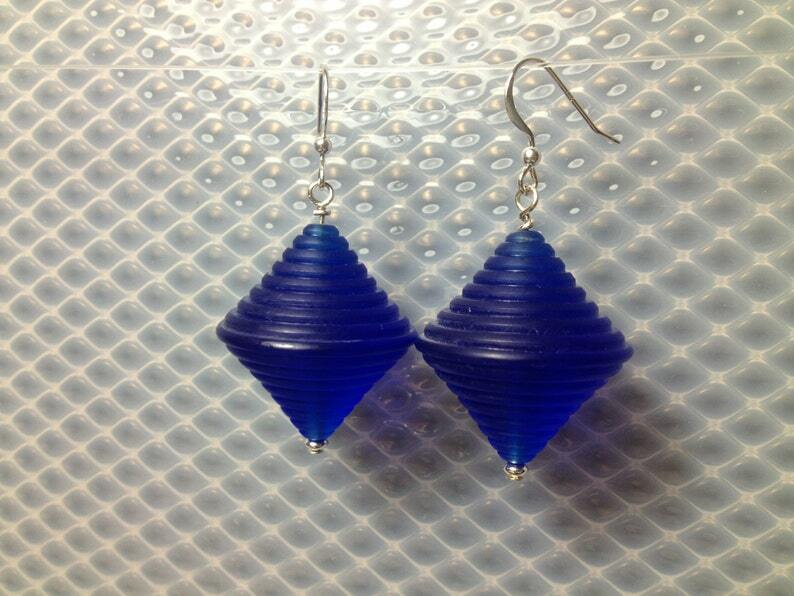 Lantern shaped earrings in transluscent blue. Blue Lantern shaped earrings. Sterling ear wires. Earring measures approx. 1" across and 1.25" tall. Cast from a silicone mold that was made from a vintage bead. Lantern shaped earrings in red. Lantern shaped earrings in red and cobalt blue. Textured minidisc earrings in cobalt blue.